On September 17, the Oregon Education Association (OEA) made a report to the Oregon Senate Committee on Education & Workforce regarding Common Core and Assessment. While OEA's report was a welcome change from its previous responses (ranging from silence to full support of the "reform" agenda) to teacher concerns, there remain areas in this report that are problematic, especially for OEA members who approved resolutions at their most recent Representative Assembly that denounced high-stakes standardized testing and the Smarter Balanced Assessment. The report begins by discussing the Common Core, repeating the questionable conclusions of an 2013 NEA poll: “More than 75% of NEA members either support the Common Core wholeheartedly or with some reservations”. This writer has always found that to be an odd conclusion drawn from the actual numbers, in which 26% of members said they supported the standards wholeheartedly, 50% reported that they supported with some reservations, and 11% were strongly opposed. One could have just as easily said that 61% of OEA members strongly oppose Common Core or have some reservations. But NEA has a financial stake with Common Core. As Dr. Mercedes Schneider observes: “NEA must spread this ‘strong’ approval message, for it has accepted millions to promote this message” from Bill Gates. One is also left to wonder why a more recent poll done by EducationNext shows that while Common Core support is slipping among the general public, support has plummeted among teachers who have now met the Common Core sales package face to face in their classrooms. The OEA report cites a more recent poll that 2 in 5 Oregon teachers oppose the Common Core (hardly a 75% “strongly support” statement). OEA then states at least half of teachers believe that implementation is taking the wrong direction, and a wide margin (80%) believe that if they had been allowed to give input at all (only 40% believe that; 60% said they were not allowed) they would not have been listened to. Call for a moratorium on new high stakes tests. Ask that testing programs originate from and are approved by licensed educators instead of a for-profit testing system. The final part of this report should be troubling to all members of OEA and most particularly those who worked very hard at the Representative Assembly to get certain business items passed. One particular business item called for a moratorium on the Smarter Balanced Assessment. There was a great deal of discussion around the word “moratorium” versus “postponement”. Webster’s Dictionary defines moratorium as “a temporary prohibition of an activity.” While the OEA report claims to support a moratorium (as it members supported), OEA then waters that down by calling for continued use of Smarter Balanced field tests during this current school year and enacting a true moratorium only on using the results for rating teachers & administrators. This is significantly weaker than the intent of its members who worked so hard to make “moratorium” the essential concept. In calling for a moratorium, OEA members demanded a halt to the damaging effects of the Smarter Balanced Assessment for EVERYONE, not just teachers. OEA's own members feel that this assessment will be harmful to students. Teachers' major objection to the Smarter Balanced Assessment is not that they will be rated based on its results. The major objection is that high-stakes testing should not be given at all. Research has shown that does not improve instruction. Teachers wanted the support of their state union because they believe the test will be harmful to many students. Many teachers are opting their own children out of the test. Why OEA leadership has decided to be timid about the call from its members regarding the moratorium remains a mystery to this OEA member. Has a deal been struck with the state, Saxton, ODE, and Governor Kitzhaber to keep these unwelcome and harmful tests rolling along? If so, why? Pressure from Washington, DC? Pressure from NEA, due to its receiving pro-Common Core millions from the Gates Foundation? Pressure from Bill Gates himself? These are questions for OEA members and also for parents whose children attend the schools and sit in the classrooms. OEA members thought they had won a reprieve for their students at the Representative Assembly. OEA leadership is letting members, parents, and students down. OEA leadership should be asking whose goals they are following? If OEA is not member-driven as it claims, it should rethink its position. Teachers have grave concerns about the high-stakes Smarter Balanced tests. 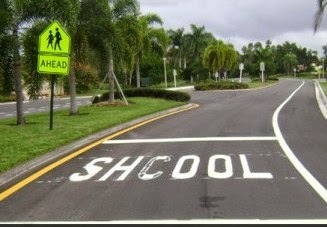 They feel that they have been shut out from giving input, and ignored when they warn of the dangers to their students. OEA members have clearly stated that they want the tests halted. 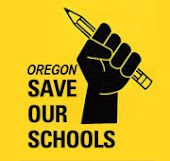 If OEA leadership wishes to truly represent its members, they should announce immediately that because the Smarter Balanced testing is harmful it be must be completely stopped until changes are made that will adequately protect Oregon students. Determining those changes should be come from a panel composed primarily of teachers. See the report from OEA.